As a student at Selmar, our passionate and experienced trainers will support, guide and motivate you throughout your training journey. Our team is made up of 35+ trainers with industry skills, experience and passion to share with you. Selmar trainers are focused on providing training that suits your individual needs, helping you to reach your full potential and achieve your training and career goals. Get to know more about our trainers, including their qualifications, experience and personal career journeys. Kylie Jackson is passionate about the importance practical work placement plays for students and takes great pride in making it a valuable and positive experience. She takes care to really get to know the students she is finding work placement for, so that she can provide them with the best hands-on learning opportunities that suit each individual. Read more! Getting qualified isn’t a journey you need to take alone, and with committed support from people like Student Support Coordinator, Mary Fennessy, why would you? Mary takes time to really get to know her students and their individual circumstances so she can tailor her support programs for every situation. With three Selmar courses under her belt, Anna knows all about studying from the perspective of both the trainer and the student. 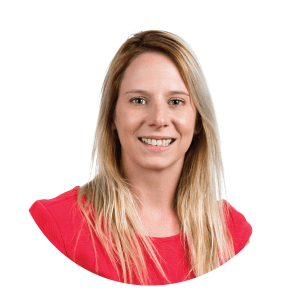 Anna has been a Selmar trainer for almost four years, helping students get qualified in courses right through from the Certificate III in Early Childhood Education and Care to the Advanced Diploma in Community Sector Management. So what is it about Selmar that Anna loves so much? 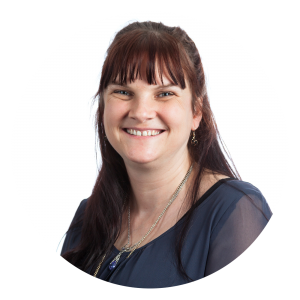 “I love Selmar because they have such a passionate, inviting and motivating team which allows me to perform to the best of my ability with their support and guidance”. Anna firmly believes that the opportunities provided by Selmar are endless and the support – amazing. “Selmar has allowed me to become the strong and passionate trainer that I am today and I look forward to many more opportunities and learning experiences to come”. A workplace trainer in Melbourne’s eastern suburbs, Lisa Galley calls her role with Selmar her dream job. With over 7 years of child care experience, Lisa loves that her position as a trainer with Selmar enables her to provide such a great variety of services to the diverse range of students in our courses. 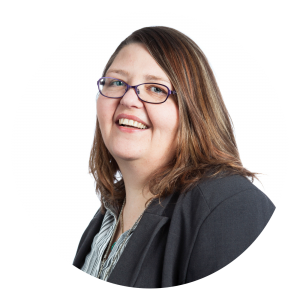 With two years under her belt as a trainer, Lisa is very happy doing what she is doing and is looking forward to being involved with Selmar’s online learning portal. Sally Forbes initially came to seek a career in aged care while looking for a career that could enable her to work around her role as a new mum. “I moved into aged care after the birth of my daughter as it was a job I could do over the weekend and/or night shift, and I could still spend time with my daughter”, says Sally. It was the beginning of 12 years spent working in aged care settings, with experience caring for a range of individuals with varying needs. Around three and a half years ago, Sally decided to share her knowledge of the aged care industry with others and began working in training and assessment. 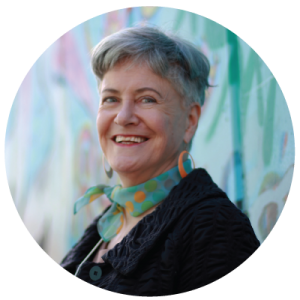 “I want to have an impact on aged care workers of the future”, says Sally. “They could be looking after me one day!”. The understanding of what it takes to succeed as an aged care worker comes through industry experience and Karen Richards has six years of it to share as an Aged Care trainer with Selmar. It is her time spent in aged care settings, honing her expertise, that Karen believes contributes to her ability to be a great trainer — and sharing all she has learned is what she loves most about her work with Selmar learners. Karen believes that Selmar stands out from other RTOs because of the passion of its trainers, and Karen’s own enthusiasm for aged care training proves this to be true. With aged care trainers like Karen Richards at Selmar, you’re in good hands. With six years of experience as a child care worker, Enis George has always had a passion for children. 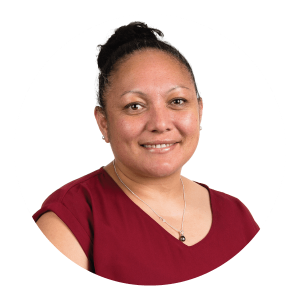 When her family migrated to Australia from New Zealand in 2011, she made the switch from finance and tourism into early childhood, gaining her Certificate III in Children’s Services and then a Diploma of Children’s Services. A casual position at Goodstart Early Learning was offered to Enis during her Certificate III studies and Enis says, “This was the start of something amazing”. It was at the end of 2015 that Enis realised she wanted to see how far she could go with her child care career, and discovered she could complete a Certificate IV in Training and Assessment and train others for a rewarding career in child care. So Enis did just that, followed by working in more child care roles to continue to gain experience. Enis is currently a workplace and distance trainer with Selmar and loves to know that she is making a difference in people’s lives, aiming to continue to help, guide and support each educator to complete their qualifications. Nikita is one of Selmar’s distance trainers, training students who are not yet working in the industry. 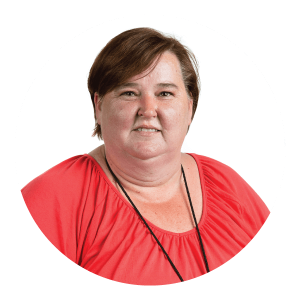 She finds her work very rewarding and loves supporting students through their learning journey. 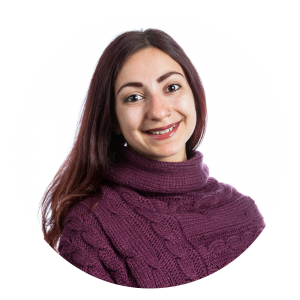 With four years’ experience working in child care and a further two years as a trainer, Nikita is passionate about promoting quality education and care for children and helping shape educators to be the best they can be. Her belief is that Selmar’s commitment to fostering positive student relationships is what sets Selmar apart and gives students the best opportunity to flourish the child care industry. Nikita herself aims to continue learning and increasing her knowledge and skills so that she can provide her students with the best training possible to assist them in becoming great educators. For Cheryl, supporting her students to achieve their dreams is what it’s all about and with a trainer like Cheryl, Selmar Aged Care students are destined for success. 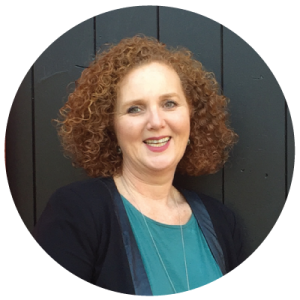 With over 15 years behind her working in aged care and disability, Cheryl has been a trainer for around 10 years now. That is 10 years of supporting learners on their training journey and sharing her commitment to aged and disability care. Cheryl’s career began working in an emergency children’s home in her late teens. 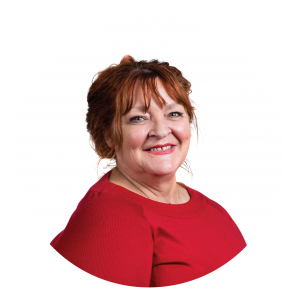 This lead Cheryl to pursue a career in child care and disability for over a decade before working as a personal care assistant in home and community. “This is where I got to assist with their personal care needs and also to plan activities for them to have access in the community”, Cheryl explains. Cheryl’s students rave about Selmar, noting the flexibility of the course and study hours. 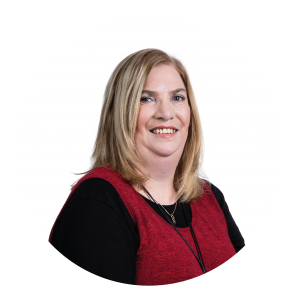 With vast experience and the ability to offer her students support and guidance when they need it most, Cheryl excels as one of Selmar’s valued trainers. 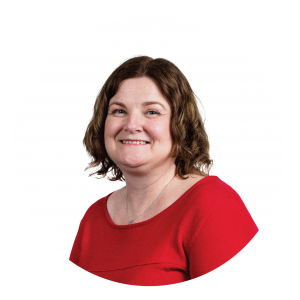 A workplace trainer/assessor with Selmar, Kelly began working in child care in the late 1980s and has seen a lot change over the years. Her experience working in child care covers private and council-run centres as well as large organisations, but in 2014 she began working as a trainer. Kelly finds the diversity of her work really exciting and engaging — she often finds herself gaining new perspectives from her students and different centres which further inform her own views. “When I do an observation I continue to learn different ways to do things and see wonderful interactions”. With over 25 years of industry experience, it’s safe to say Simone knows early childhood education inside and out. Simone brings experience from many roles in the field including working as a nanny, running her own family day care and working in occasional care. She has extensive experience within long daycare settings too, including as an Educational Leader and Centre Director. At Selmar Simone goes above and beyond to train our future educators, working with them and their different learning styles. For Simone, sharing her passion, knowledge and experience in early childhood education is what she really loves, combined with Selmar’s approach to training. “I love that Selmar marks each student’s task book monthly and gives students feedback straight away. Each Student at Selmar is provided with support and tailored learning as required”. Preparing students to become educators to guide our future generations is a responsibility Simone takes seriously as she believes that education is the foundation for the future. Claire has been delivering training for many of the Selmar Child Care courses for over 15 months and absolutely loves her role. 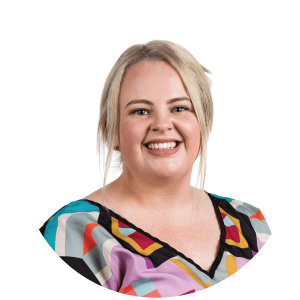 The workplace training that Claire provides means that students can ensure they hold the most current qualifications within the industry while continuing to work in their early childhood position in the workforce. This is vital to the industry, encouraging continual professional development without missing out on an income while you study. Child care has been a part of Claire’s day-to-day life for 27 years – needless to say, she is an educator who loves what she does. It is her commitment to the field of early childhood education that made her to look into training others. “I love working with children but Selmar has enabled me to fulfil my passion for mentoring and training educators in the field. It has been very rewarding to be a part of the passionate Selmar team”.